Every year, the Superbrand organisation quantifies the most successful brands operating in 91 participating countries worldwide. The success of a brand is assessed independently by a council of business, brand, and marketing experts and consumers based on objective criteria including market dominance, longevity, goodwill, customer loyalty, and market acceptance. Starting in the UK in 1994 and founded as an organisation in 1995, the Superbrand name has become inextricably linked with those brands that out-perform the domestic and/or international competition in their respective fields. The organisation recognises the importance of acknowledging and rewarding the brands that make a real and significant impact on the world around them. Awarded companies may carry the Superbrand name, which adds a great level of prestige to their brand and the products they offer. 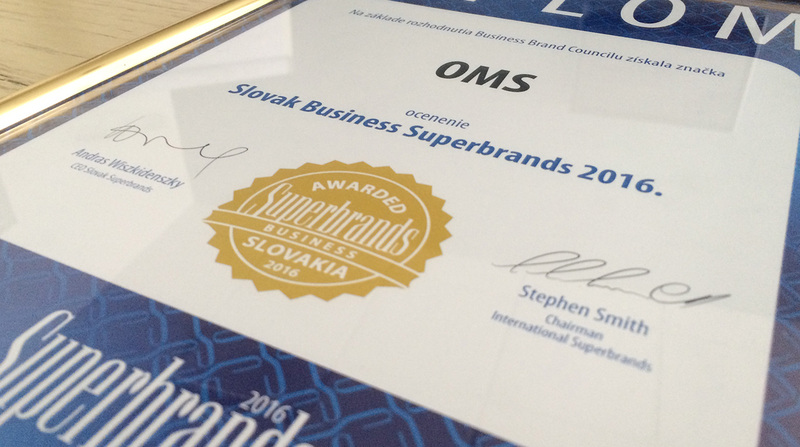 OMS is pleased to announce that it has been awarded the 2016 Superbrand award for Slovakia, once again exemplifying the strong position of the company within the lighting market. 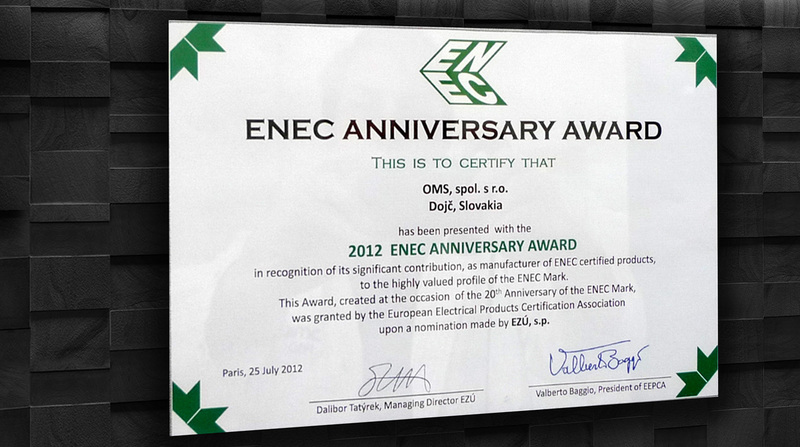 Our customers already benefit from the strength of the OMS brand and can now do so, even more, thanks to the added dimension of internationally esteemed recognition. We are happy to share our success with you, the loyal customers who helped us get there. 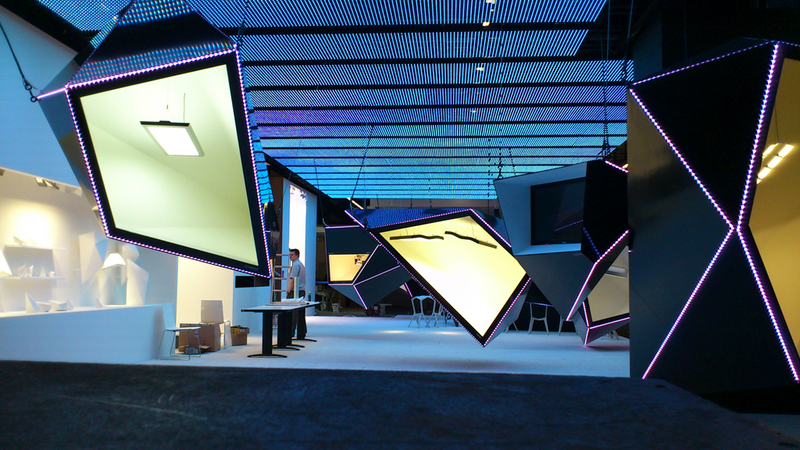 Light+Building is the world’s leading trade fair for lighting and building services technology. Held every two years at Messe Frankfurt in Germany, the more than 200,000 international visitors can find upwards of 2000 exhibitors covering everything from lighting and electronic design to advanced building automation. The motto for Light+Building 2016 is “digital – individual – networked” as homage to the changing face of how we access, use, and interact with the interiors and exteriors of our built environment. So, if you are interested in seeing where the future is taking us, we will see you at Light+Building 2016. 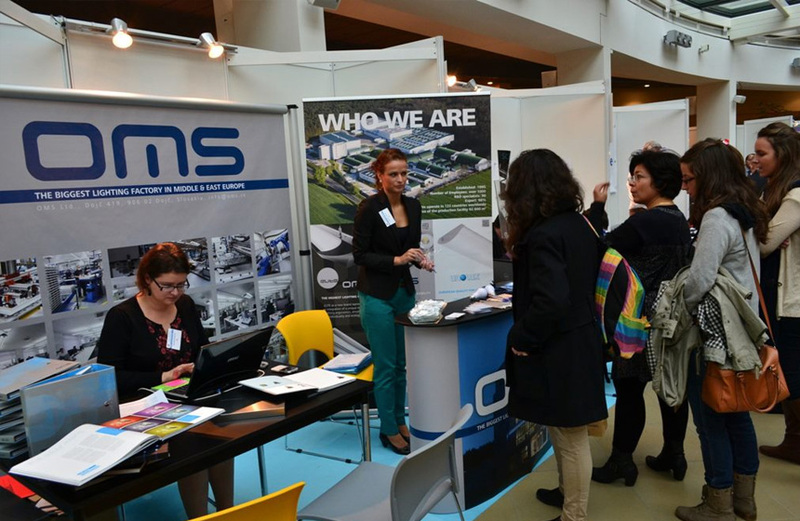 OMS first attended Light+Building back in 2006. Our attendance this year marks a decade of high-profile visibility on the lighting market, and more than two decades of leading the way in terms of lighting research, theory, development, and technological innovation. This year, we will focus on our portfolio of advanced and comprehensive LED product ranges. Our motto, “so many possibilities with each luminaire”, brings attention to our unique approach to making lighting simple yet highly effective and flexible. Within each of our groundbreaking product ranges, you will find everything you need to complete even the most expansive and complex lighting solutions, whether they be in retail, office, education, industry, or street and urban lighting applications. Come and visit us and see what the future of lighting looks like. Our knowledgeable representatives will be happy to discuss lighting theory, project planning and realisation, and future cooperation. See you there: Light+Building 2016, Messe Frankfurt, from 13 to 18 March 2016. Award-winning designer Anton Zetocha received the award during the ceremony. Spiker is a suspended LED luminaire manufactured by OMS (developed by iLumtech). Designed to emit Tunable White at an optimal angle, it provides high-level visual comfort for office environments. 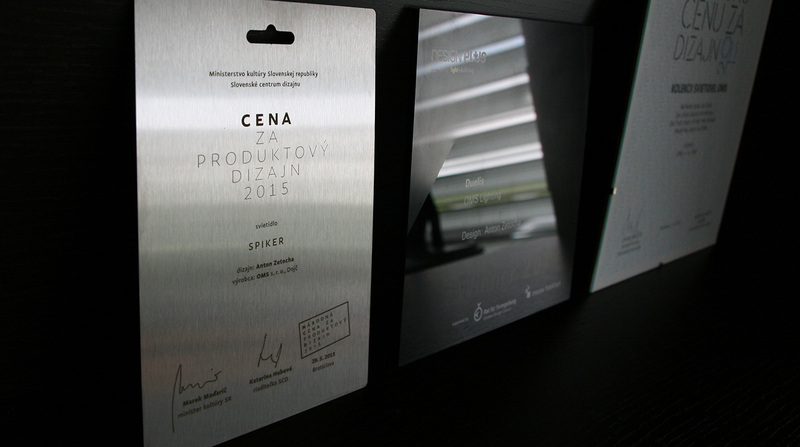 The National Design Award is an annual competition that honours outstanding design and engineering achievements in Slovakia and promotes design conscious manufacturing companies. 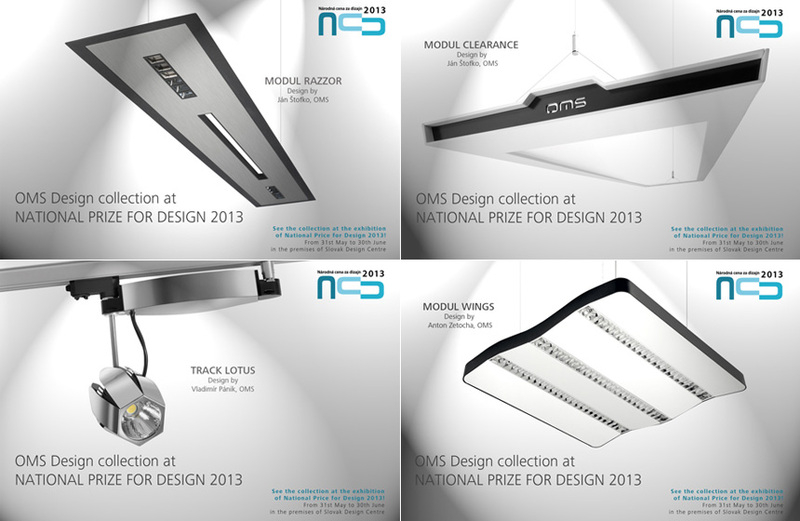 Over the last five years, OMS Lighting has received several design awards in national and international competitions for seven original products from its portfolio. 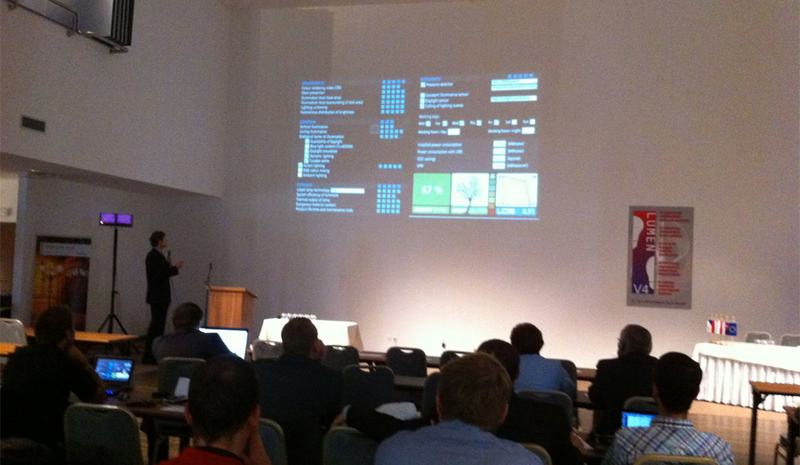 The awarded luminaires are Rebell, Star Track, Eye, Ray, Wings, Duelis, and now Spiker.